This provider is not accepting online appointments currently. Call the doctor's office at (630) 857-3967 to book an appointment. Certified by the American Board of Family Medicine and a Fellow of the American Academy of Family Practice, Dr. Muhammedkarim has been practicing in Primary Care, Immediate Care and Urgent Care for the past several years. Dr. Muhammedkarim believes Primary care offers care that is personal, ongoing and comprehensive, and hence she enjoys taking care of patients of all ages and background, providing services to infants, children, adolescents and adults. 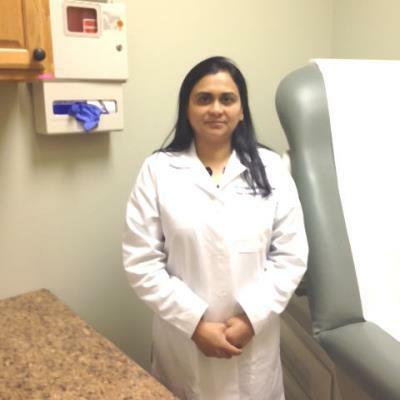 She has currently opened her own practice in Aurora Naperville, IL.